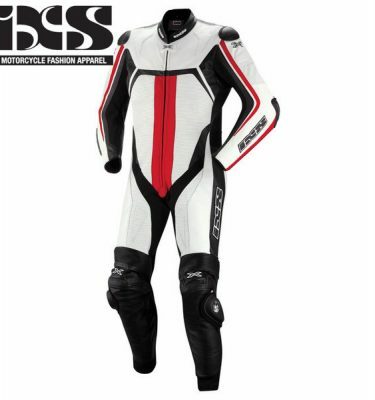 IXS Thruxton Suit on Sale! Florida Trackdays is offering the IXS Thruxton Suit on a huge discount from our partner IXS USA to make room for the 2019 designs. IXS is not as well known as the major players such as Alpinestars or Dainese but IXS is a major player in throughout Europe. And not having the huge marketing bill such as Dainese (ie. Valentine Rossi), IXS can offer a better value on their gear. If you google the Thruxton Suit you find top reviews for the quality of the suit. The iXS Thruxton Leather Suit, the top of line leather suit from iXS, can be seen international with the iXS factory riders racing in Moto 2 and Moto 3 on racers Dominique Aegerter and Philipp Oettl. The iXS Thruxton suit is the culmination of over 40 years in producing top quality motorcycle apparel.